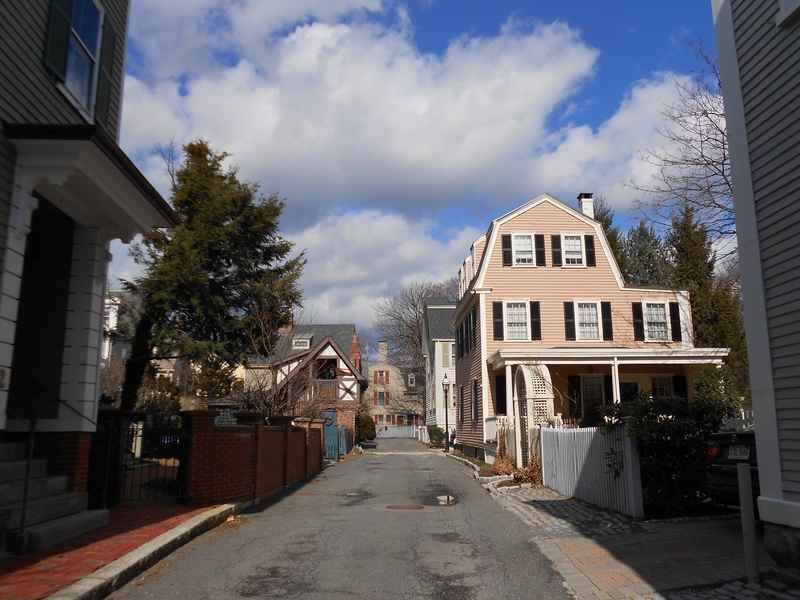 I think it’s time for a simple, literal streets of Salem post, so today we have some photographs of a small “street” that runs between Chestnut and Essex Streets in the McIntire Historic District: Botts Court. 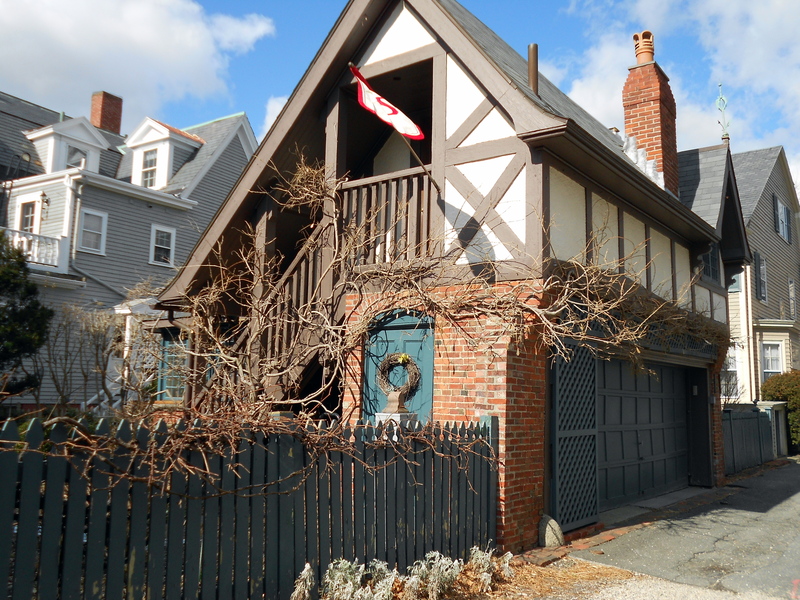 This charming little way is named after the Bott family, who settled here in Salem in the eighteenth century, but the possessive is never used: all streets lose the possessive over time. As you can see, it’s quite narrow, so it is one-way and that’s the way I’ll present it. On the corner of Chestnut and Botts Court is one of my very favorite Salem houses (there are so many): the Bott-Fabens House, built before 1800 and before Chestnut Street: the entrance that you see here was moved from the west (Court) side to the south side in the 1880s by the Faben family, presumably after Chestnut Street became the street on which to live. 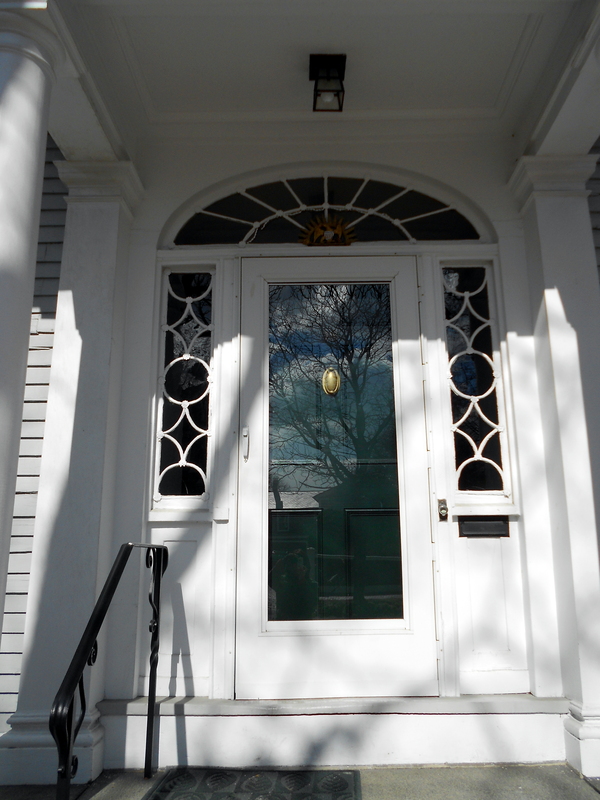 The bay window over the entrance was added at that time as well, when there must have been a bay window-building boom in Salem (and elsewhere, I’m sure). 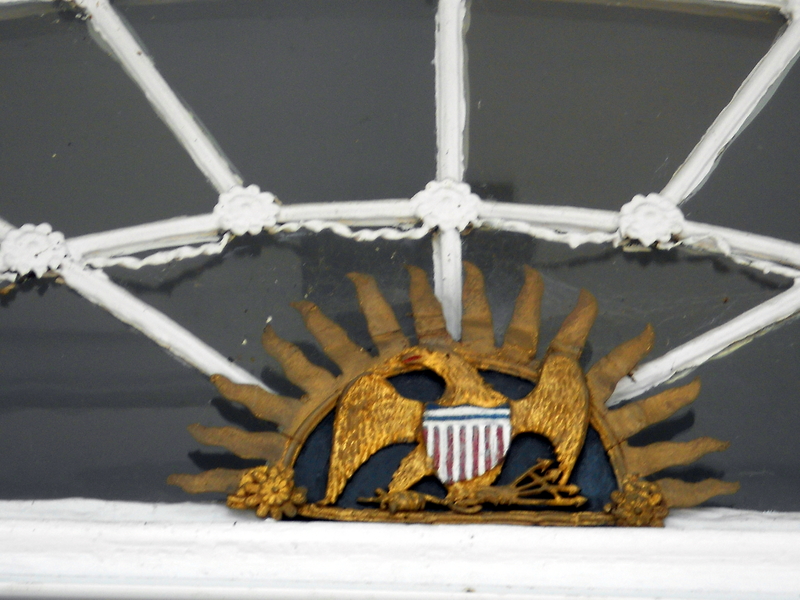 I think the entrance’s window tracery is beautiful, and there is a very patriotic eagle as well. 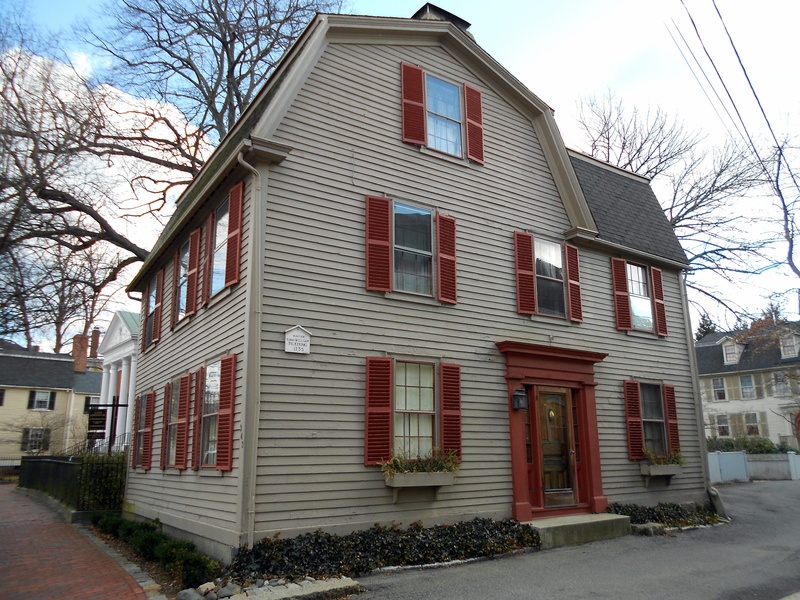 This is one of several houses in Salem associated with Nathaniel Hawthorne; he lived here for a time while he was working (unhappily) at the Custom House. 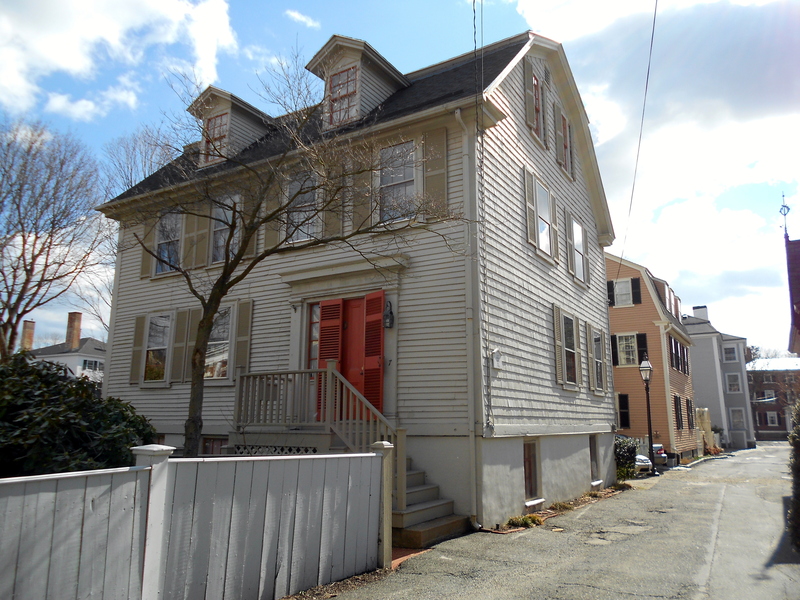 Turning the corner, we’re on Botts Court, which was clearly laid out from Essex Street (Salem’s main street, dating from the seventeenth century) rather than Chestnut (developed as a very early example of “tract housing” by Salem’s merchant princes after 1805). This is very evident because of the presence of the three Georgian houses on the right-hand side of the street: great houses which still look like they’re in their 18th century milieu because of their protected Court location. On the other side of the street there are great houses too, but they were built much later. The owners of the houses on the next street over (Hamilton) must have sold parcels of property in the later nineteenth century, and Botts Court experienced a flurry of building that must have changed its character rather dramatically. I first came to Salem about 20 years ago when I was in graduate school studying English history, and as I really wanted to learn about the history of my new city, I started doing plaque research for Historic Salem, Inc. Several Botts Court houses were my first assignments, so some (not all) of my speculation about the development of the court can be confirmed by this research. Georgian houses on one side of Botts Court. 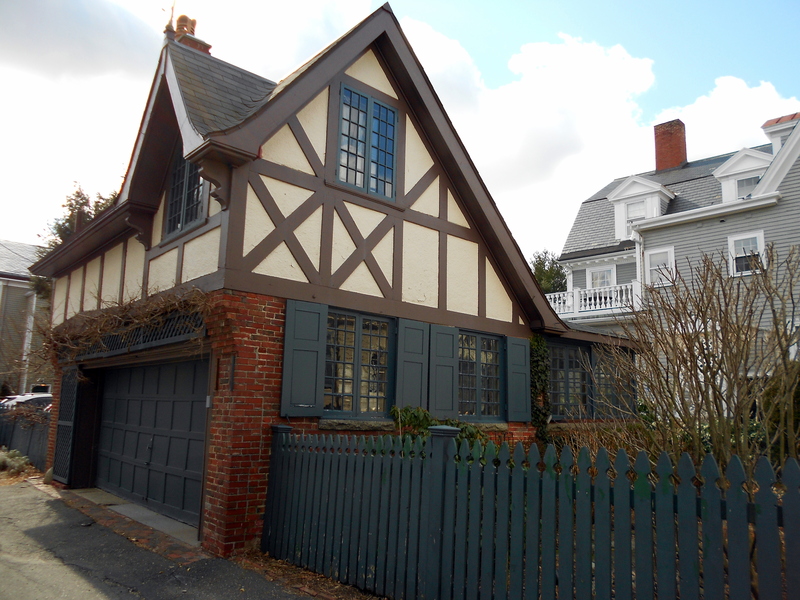 The best example of the late nineteenth-century development of Botts Court is the charming Tudor Revival building below: an “automobile house” (that’s what it said on the building permit) built by the owner (then the Mayor of Salem) of the large colonial revival house on Hamilton Street, behind it. In the next century, it was conveyed to the owners of the adjacent Botts Court house, along with a particularly charming garden. The “automobile house” of changing ownership. I’m losing my sun, and we’re at the end of the very short but very charming Botts Court. 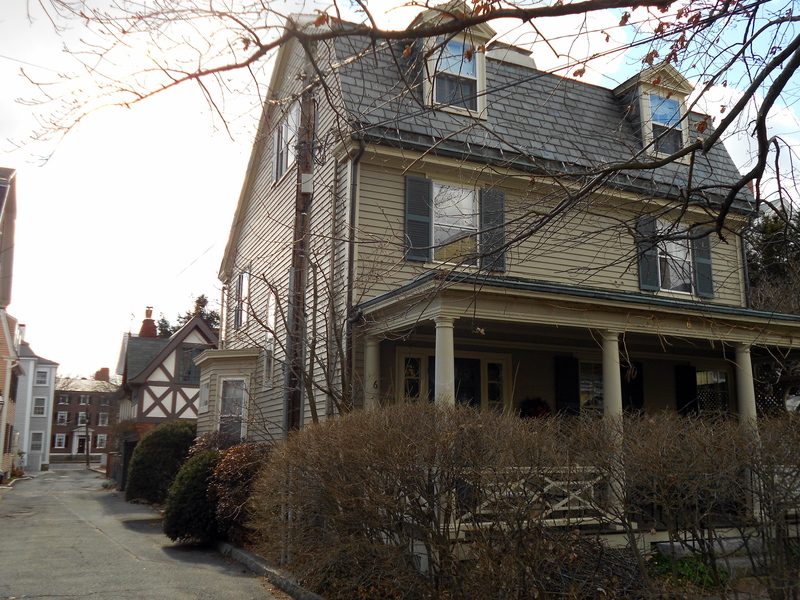 As you will notice, there are front porches on both eighteenth- and nineteenth-century houses on the court; a rarity in downtown Salem but not on this little protected path. 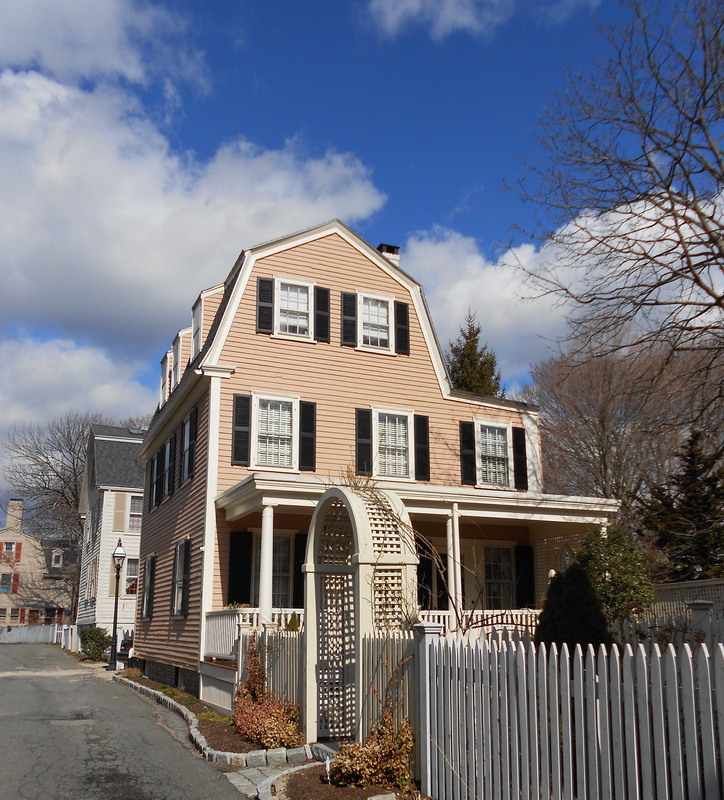 The last (early) Georgian house below, located on the corner of Botts and Essex Street (right next to the Salem Athenaeum and its expansive garden) used to be painted a bubblegum pink, marking the transition from the serious main street to the more whimsical Botts Court. 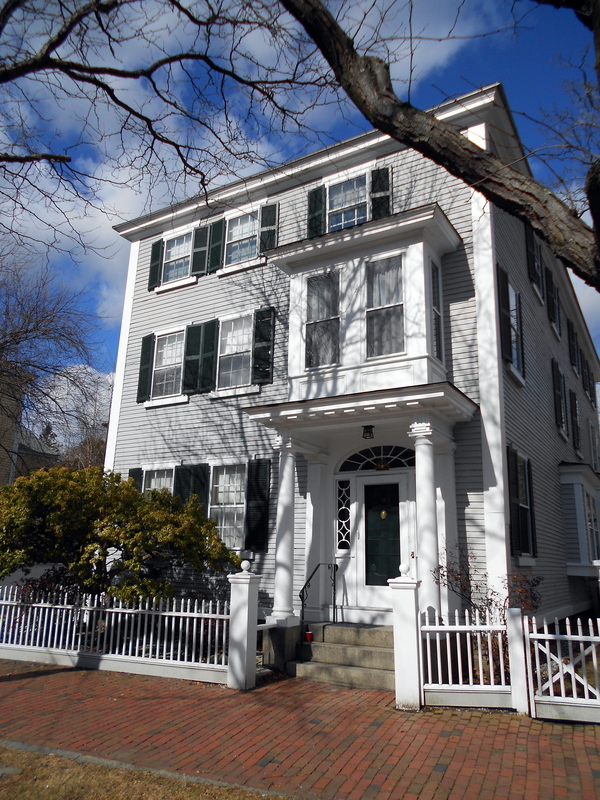 This entry was posted on Sunday, March 4th, 2012 at 9:47 am	and tagged with Architecture, Chestnut Street, great houses, Historic Preservation, urban planning and posted in History, Salem. You can follow any responses to this entry through the RSS 2.0 feed. I feel uplifted after reading this and seeing the wonderful photographs. Thank you. Your Chestnut St. snowstorm pictures led me to this Related Post on my favorite “hidden” street in Salem. (well, that and Orne Sq.). Glad I came across it, great pics! Both of those streets are utterly charming!